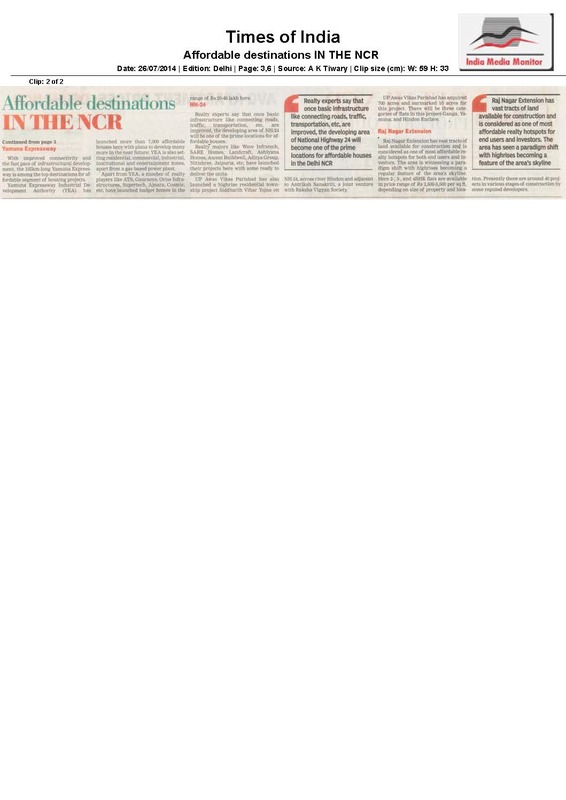 Mr. CJ Singh, President, Sales and Marketing, Wave Infratech on financial schemes offered by Wave Infratech to bolster investors' confidence. 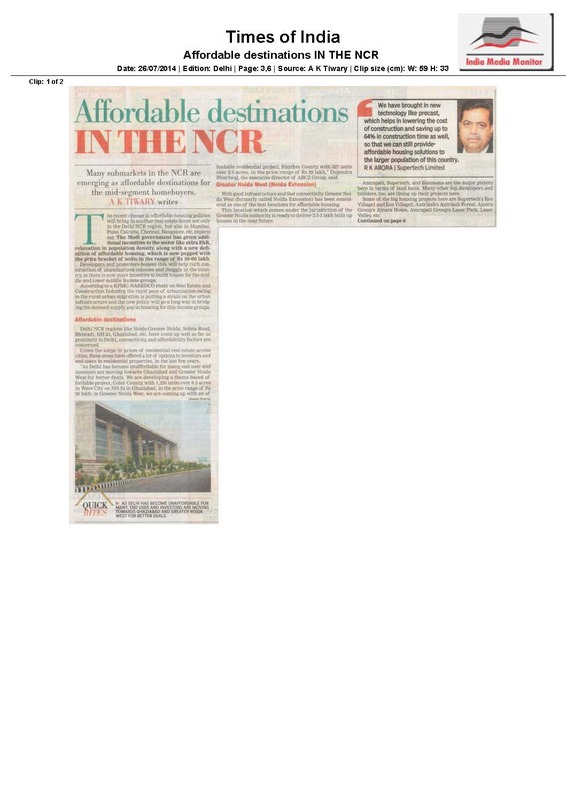 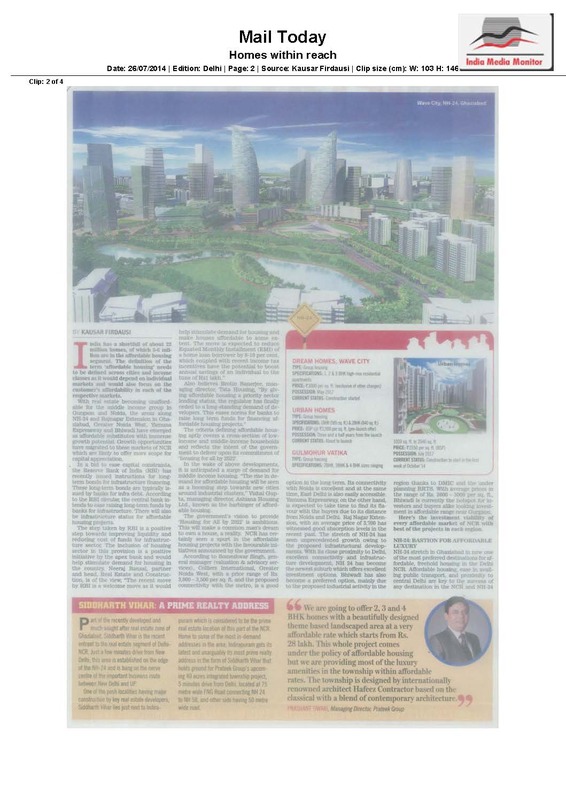 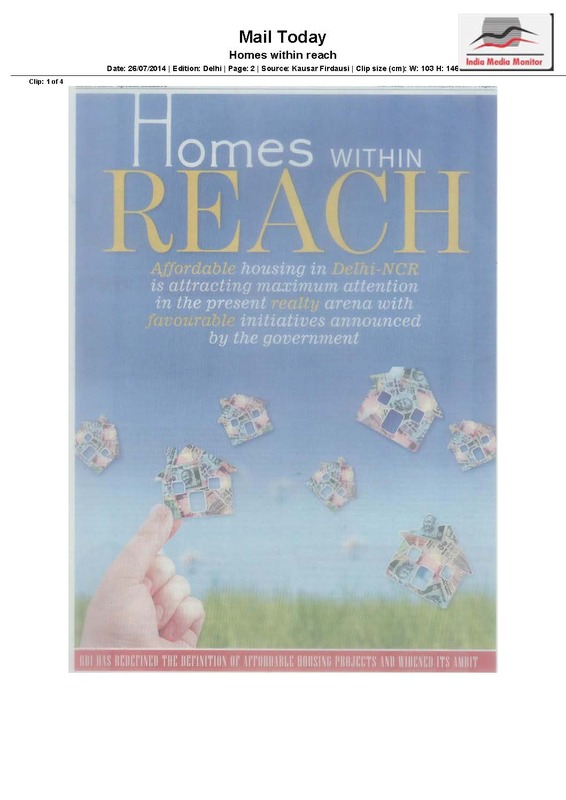 Mr. Amar Sinha, ED, Wave Infratech quoted in a story on investor’s focus on Metro cities. 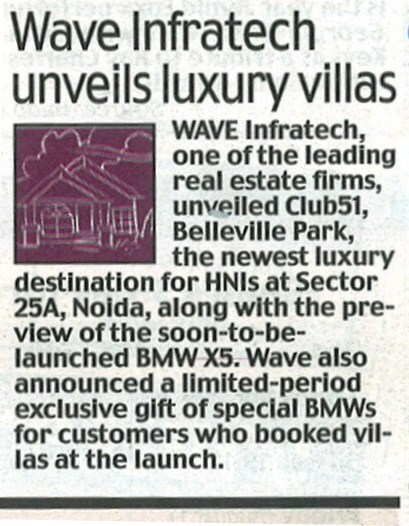 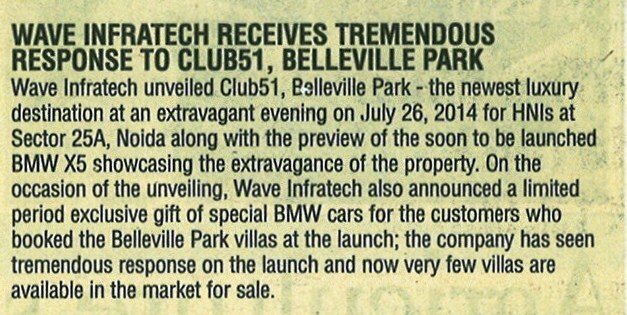 Wave City by Wave Infratech is one of the most affordable destinations in the NCR.